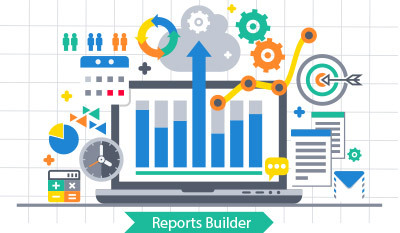 ESKA Reports Builder a powerful report-authoring tool to customize and tailor reports to your needs. ESKA® Reports Builder provides a productive report-authoring environment for IT professionals and power users. Users who prefer to work in the Microsoft Word environment can use its full capabilities to build customized reports, based on the data dictionary provided by the reporting engine, which exposes ESKADENIA systems database in a friendly manner. ESKA® Report Builder integrates with Microsoft Word to use all its features of building any customized layout for any report, by exposing the data model built using the Query Builder engine according to the user privileges. ESKA® Report Builder Microsoft Word Add-On is displayed as a pane on Microsoft Word that exposes the authorized data model for logged in user. The user can then just drag and drop the data source anywhere in the word document for later retrieval and rendering from the database. Link different sources to generate a unique data model describing the business model according to the requested reports. Preview reports and export them to the most common document formats: PDF, Excel, Word, PowerPoint, CSV, and all image formats (JPEG, PNG, GIF, and BMP).